Pieced Pattern with Fusible Applique accents. Pattern includes full-size templates and placement drawing. 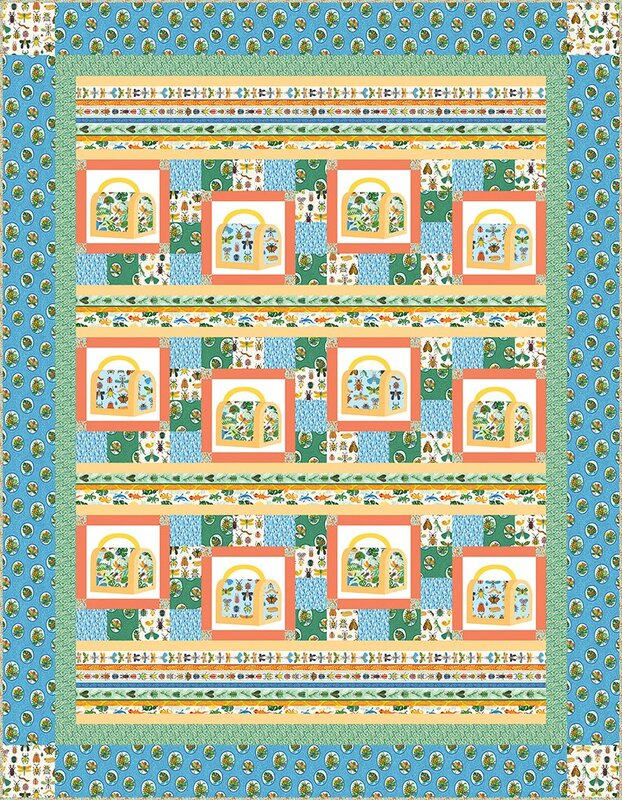 Quilt image features the "Beetle Mania" fabric line from Clothworks.